Contrary to what you might think, this isn’t going to be a long post. We often hear people say, raw sugar is better than refined/processed sugar…”much healthier”, is the claim. But, is this really true? or is this just another case of blind loyalty, to words like “raw” and disdain for words like “refined” or “processed”? I’m not kidding. We throw around these words without really investigating what they mean for a particular thing. You could probably guess by now, which way this is headed. To answer that question, we also need to understand what raw sugar is, also. Raw sugar that we purchase, is not all that raw. Both raw and refined start out the same way…duh. When the sugar cane is harvested, it is crushed and mixed with water to extract as much juice as possible. The sugar is then filtered and purified to remove most of the molasses. After going through a centrifuge (to separate out the molasses) and evaporation, the sugar crystals are left. This is called “raw sugar”, which has trace amounts of the original molasses, (about 2%) along with some plant material. It is also known as Turbinado, Demerara or unrefined sugar. It has a light brown color due to the thin coating of molasses. Now, refined sugar is simply the same raw sugar that goes through more filtering, washing and separation, which removes the remaining impurities and molasses. During processing, it is “bleached” and becomes white. Well, what about brown sugar? This is simply the refined white sugar, with some molasses mixed back in at the end of the refining process. Sugar is sugar! Just ask Alice H. Lichtenstein, DSc, senior scientist at the HNRCA and executive editor of Tufts Health & Nutrition Letter [1,2,3]. With me so far? Not what you expected. The molasses in the “raw” sugar or brown sugar, has trace amounts of minerals like calcium, potassium, iron and magnesium. Yes!.. so it is healthier. Uhhhh, not so fast. Trace amounts mean, negligible amounts, not enough to make a difference in the human body. But all the ads say “healthy” unrefined raw sugar. Not just the ads, but the people in the fitness industry…and don’t forget about the healthy eating people. The problem here is that, those people use the same ridiculous logic, that it’s “raw and “unrefined”, without looking into what that means. “Don’t forget the minerals”, they say, but as stated earlier, it doesn’t do anything for you. People are so emotionally attached to their arguments, that when you confront them with the truth, they get so upset with you. But, why hold on to something if it is false. We should be happy to find out the truth, no matter what it is. Give it to me. 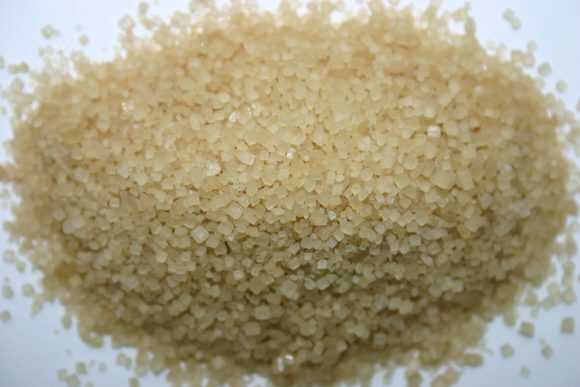 There really isn’t much difference between, brown sugar, “raw” sugar, and refined sugar. If you see unrefined or raw sugar, in the ingredient list of a health food, and you buy it…guess what? You’ve been hoodwinked, bamboozled, sold some magic beans. Clever marketing and misguided people took your money. Look, you can always argue that the artificial sugar people are spreading misinformation. But, finding out the percentages of minerals in raw sugar is pretty simple, and there is no debate about it in the scientific community. The health gurus don’t tell you the quantity, they simply say, “there are minerals and nutrients in the raw sugar”. There are two reasons why this is so. Either they don’t know, or they do know and want you to keep paying extra for useless junk. Your choice. P.S. The Healthy Goat was last seen, trying to sell his magic unicorn to a group of health conscious, raw sugar eaters. A rumpus began, when the ice-cream cone fell of the head of the stolen mule. Update: The Fighting Goat and his mule, managed to escape, by kicking the molASSES of the “raw” sugar eaters and are now safely eating ice cream cones on the pier. 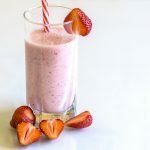 5 Healthy Smoothies- Under 150 Calories! Hi Dave, thanks for a great article. I personally have given up sugar of all types raw, refined and artificial. The only type of sugar I eat is the small amount in berries, low carb vegetables, and dairy, although I don’t restrict the amount of these that I eat. I have found that my energy and alertness has improved greatly as a result of my change of diet. In my personal opinion, sugar should be restricted in everyone’s diet. Love your PS and update! Woooh, so I had to read this thrice “This is simply the refined white sugar, with some molasses mixed back in at the end of the refining process.”. For real, for real!!?? I really want to disagree but I can’t until I have done enough research on this. And honestly,I kind of believe that this might be the case already, my research is to clear my mind of any doubt. Some of us have been feeling funky and health conscious with our ” raw” and brown sugar. I got a new assignment,thank you for bringing it to me. This article is rich in knowledge. Many people including myself has always thought and sure of the kind of sugar we use to be raw or refined. 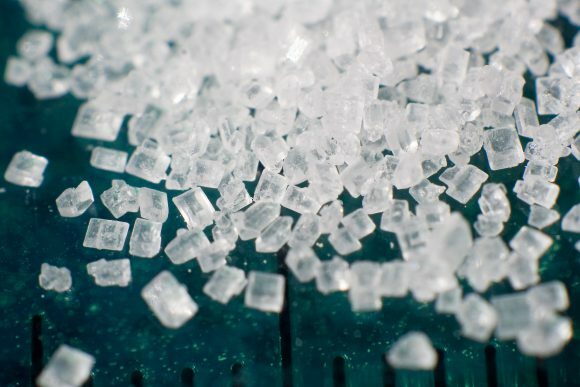 Well as a matter of fact, this article is an eye opener to what we don’t know about sugar. Refined or raw, both forms of sugar are dangerous and treat to human health and best advice is to keep away from them. 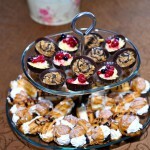 Prevention of health related problems from sugar is better than curing which is not guaranteed when the problem comes. My one cent advice. Great article! I guess some people have phobia for products that have refined or processed attached to it. Why? 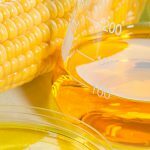 Because they believe that some additives have been added to the product in the process of refinement. Reading through your post clearly showed that raw sugar and refined sugar goes through the same process, in fact refined sugar even go more filtering process than the so called raw sugar. To me, I believe that health practitioners are aware of the percentages of minerals, etc that are found in raw sugar, but they are just using people phobia towards some refined products to make more money. Thanks for this eyeopening post it has solve the dilemma on refined or raw sugar, Raw sugar isn’t even really raw. It’s just slightly less refined, so it retains some of the molasses. But there’s no real health real benefit from it. But in my opinion there’s no more nutritional value in raw sugar than there is in white sugar or brown sugar. This is a great article. You have exhuastively put this together. Everyone tends to think that the only sugar they are consuming is these raw or refined sugars. But actually the source of the sugar we consumed is mainly from the foods we consumed. So knowing how much of sugar we actually consumed is difficulty if not Impossible. Even many of the so-called healthy foods are high in the sugar content with no exceptions to fruits. What an helpful article! As we know health is wealth. That’s why we have to consider whatever we eats. I can categorically say that sugar is one of those harmful compounds. It is found in almost everything you can eat or drink and is essentially a drug. The more you take the more you need, like this time when eating junks has be rampant. 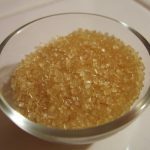 This article has actually opened my eye to some hidden truths about raw sugar and refined sugar, as raw sugar is simply the refined white sugar, with some molasses mixed back in at the end of the refining process while refined sugar is the same raw sugar that goes through more filtering, washing and separation, which removes the remaining impurities and molasses. Is just an operation of clever marketing and misguided people took our money, whereas both sugars are almost the same if not for their different color. Knowledge is power. I will saved this page with this wonderful review to show my siblings. Thanks. I believe sugar should be avoided completely no matter what name it is given, white, brown, raw or refined. It is all sugar and sugar is not good to the human health. Cancer thrives on sugar. Nutritionists tell us about substitutes for sugar like, coconut sugar, fruit sugar and honey. Are all these alternatives good for human consumption? They’re not substitutes for sugar, they are various forms of sugar with varying percentages of glucose and fructose. This is worth reading and I really enjoyed your argument. Personally, I’m not used to eating sweets and sugar-coated food products but it’s worth noting the point you’ve raised. I would say I’m part of the many with the perception of brown sugar more healthier than refined sugar and thus it deserves the price quoted for them. You’ve raised awareness in me to get to the bottom of your reasons why you see it to be a deception. You’ve won me over but I think reading more about it would be helpful so that I can also confidently spread the word. Is there any scientific article or paper that you can refer me to? I added some links to the post…1,2,3 . You can read these to start. Honestly , I wish this post is published on the first page of a popular magazine or very very popular website with a large audience and reader base. The effect of both refined and raw sugar are not far from each other. Sugar I heard also has a trace of sulphur which is used in the refinery. Looking at it from the production and health perspective , both types of sugar are killer foods. If you can abstain fro sugar its the best. I started sugar free life six months ago. Hey, share the post and let’s make this a popular website! I’ve always mixed in such sugars each day, however it all depends on the timing of taking in raw or refined sugar. Personally, I’ve always gone with raw sugar, but again, the timing of when I’d ingest it would be the same was refined sugar. What many fail to realize is that sugar is sugar no matter what. The only time there’s such thing as a healthy time to ingest sugar (in moderate amounts) is during the postworkout window, when glycogen stores are low but the workout better have been a good one. We aren’t talking about a thirty-minute breeze on the treadmill, here. I wasn’t aware of this, I would have thought that raw sugar would be healthier but now that I’ve read this article it actually seems that isn’t true- the small amounts of wouldn’t really make a huge difference like you have mentioned, but I guess this is a way companies advertise their products so customers think it is more healthy and end up purchasing without actually realising that it’s not actually beneficial. 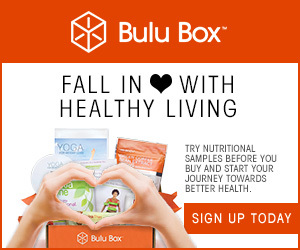 I saw a documentary about the general sugar content of foods, even healthy type food you think would be low in sugar still contained a large amount, its pretty tricky so know exactly how much is in them, also your daily sugar consumption quickly adds up which is not good for your general health. A very interesting article, and very relevant as well. Most of the things we consume have sugar in them and I am guessing not many consumers really know the difference. It is only when people get sick that they realise the need to take care of their bodies. I also used to think that you can eat whatever you want as long as you “burn” it off with exercise. As I learned more, I found this to be very inaccurate as what you put into your body does make a difference and you can’t work off a bad diet. Just because you can’t see the visible effect of the food you eat on your body it doesn’t mean you aren’t hurting yourself on the inside. I believe sugar is one of those harmful compounds. It is found in almost everything you can eat or drink and is essentially a drug. The more you take the more you need. I have spent far too long indulging in sugar – sometimes without even realising it. It is quite difficult to lead a healthy lifestyle when junk is a whole lot cheaper than “health foods” and most of that junk is laced with sugar. Great article. I hope it finds it’s way to more people who need it. Always happy to spread the word.